Active8 Robots understands how important it is to make robotics and technology accessible to our young generation which is why they have developed a new workshop scheme where schools can have a full day or half day robotics workshop for a minimal cost where pupils can learn to program NAO! We chose the NAO Humanoid robot to deliver our STEM Workshops as it is the most versatile platform to deliver STEM education as well as offering the best value for schools and businesses. The NAO robot is used throughout education, starting at KS1, it is an engaging platform for students to learn, develop and play with. 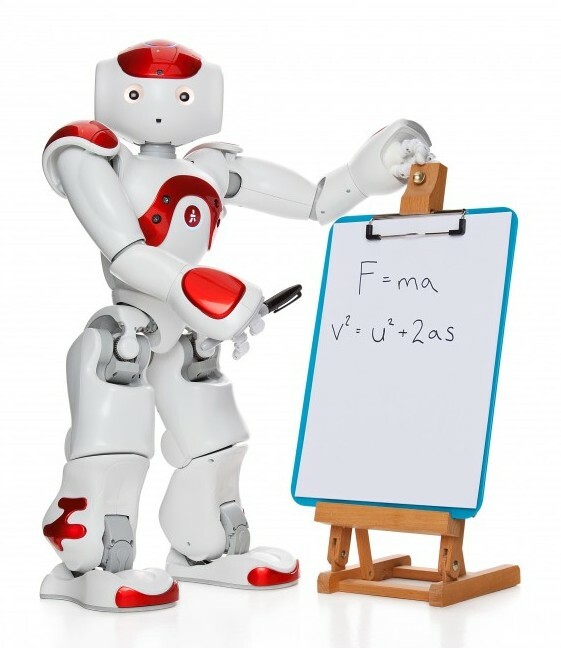 NAO is currently being used by numerous universities throughout the world for research projects meaning that students can continue learning using one robotic platform. What’s covered in our STEM Workshops? Our STEM workshops and assemblies are tailored to your own particular needs, levels and experience. The outline of our STEM workshop typically comprises of a robot presentation, discussion about technology changes, the use of robots in today’s society as well as what the future holds for the field of robotics and why it’s so important for students to develop their STEM skills. Students are encouraged to think about how they are used to enhance our world now and in the future and their own future career possibilities could benefit from robotics. Students then experience computer programming by creating programs for our NAO robots to perform at the end of the session and discuss their work and achievements. Workshops start from as little as £300+VAT and can be delivered Nationwide.